There are moments when due to the high use of a computer, the operating system can't manage to distribute the used RAM memory correctly. 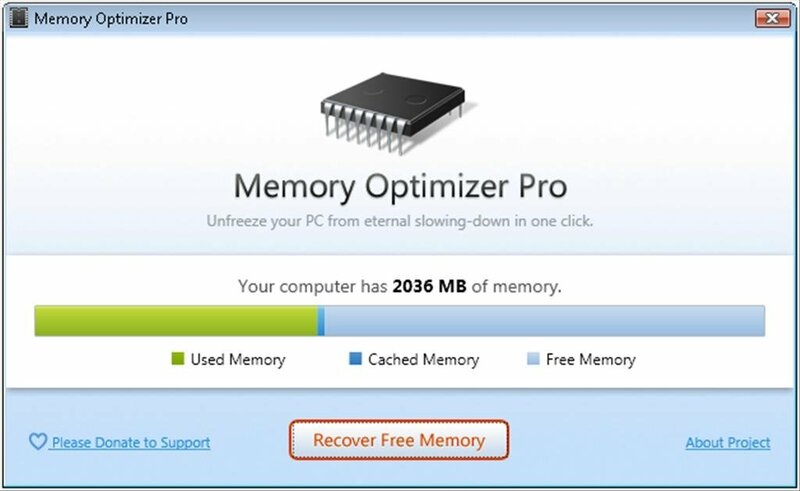 To avoid these problems you can resort to a program like Memory Optimizer. 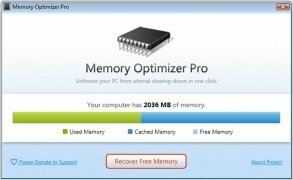 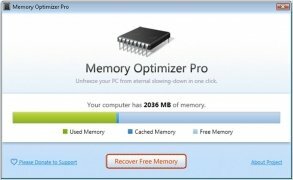 Optimizing the use of the RAM memory by means of Memory Optimizer couldn't be easier, because by simply clicking on 'Recover Free Memory' the program will take care of freeing as much memory as possible. 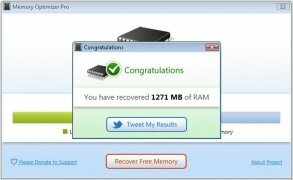 Thanks to this software you will be able to improve the performance of the majority of applications, because they will have a lot more RAM memory available to be able to work, something that has a direct influence on the computer's general performance. Downloading Memory Optimizer for free is the easiest way to optimize the use of the RAM memory on the computer. This download requires a free registry to activate the program.